Canada is embarking on an unprecedented $600-800 billion program of infrastructure investment that incorporates all levels of government from coast to coast, and includes some very complex projects. 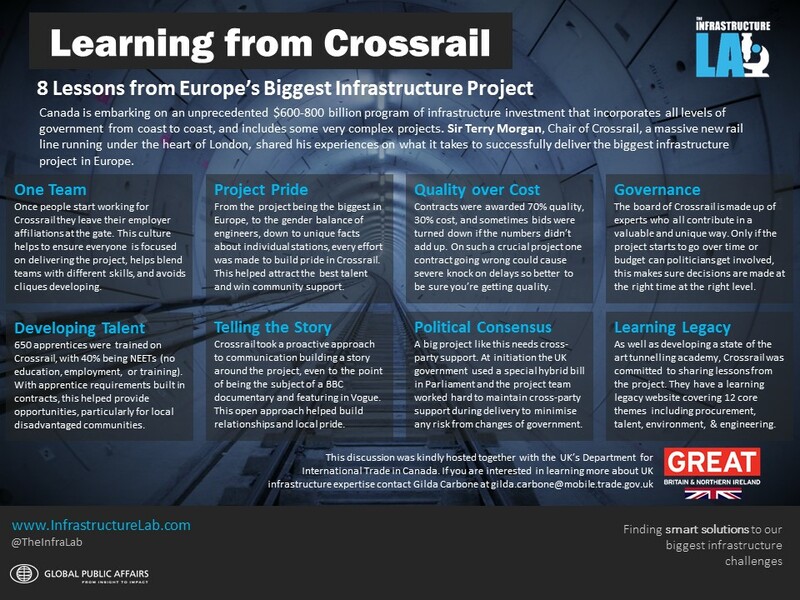 Sir Terry Morgan, Chair of Crossrail, a massive new rail line running under the heart of London, shared his experiences on what it takes to successfully deliver the biggest infrastructure project in Europe. One Team: Once people start working for Crossrail they leave their employer affiliations at the gate. This culture helps to ensure everyone is focused on delivering the project, helps blend teams with different skills, and avoids cliques developing. Project Pride: From the project being the biggest in Europe, to the gender balance of engineers, down to unique facts about individual stations, every effort was made to build pride in Crossrail. This helped attract the best talent and win community support. Quality over Cost: Contracts were awarded 70% quality, 30% cost, and sometimes bids were turned down if the numbers didn’t add up. On such a crucial project one contract going wrong could cause severe knock on delays so better to be sure you’re getting quality. Governance: The board of Crossrail is made up of experts who all contribute in a valuable and unique way. Only if the project starts to go over time or budget can politicians get involved, this makes sure decisions are made at the right time at the right level. Developing Talent: 650 apprentices were trained on Crossrail, with 40% being NEETs (no education, employment, or training). With apprentice requirements built in contracts, this helped provide opportunities, particularly for local disadvantaged communities. 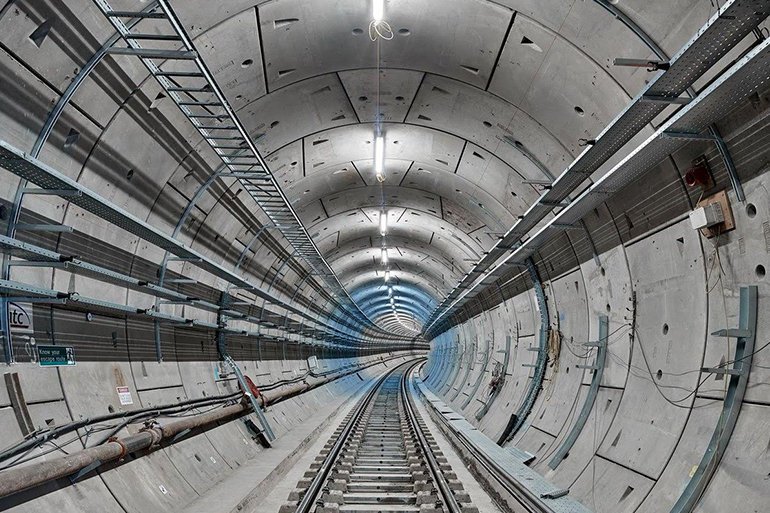 Telling the Story: Crossrail took a proactive approach to communication building a story around the project, even to the point of being the subject of a BBC documentary and featuring in Vogue. This open approach helped build relationships and local pride. Political Consensus: A big project like this needs cross-party support. At initiation the UK government used a special hybrid bill in Parliament and the project team worked hard to maintain cross-party support during delivery to minimise any risk from changes of government. Learning Legacy: As well as developing a state of the art tunnelling academy, Crossrail was committed to sharing lessons from the project. They have a learning legacy website covering 12 core themes including procurement, talent, environment, & engineering.